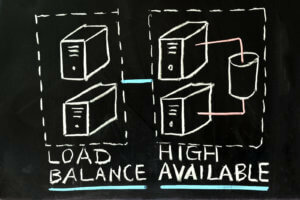 Printer load balancing, or printing across multiple printers can significantly improve overall document output velocity. Another name for printer load balancing is printer pooling. In busy printing environments several jobs may be sent to the printer in a short period of time. However, when this happens the documents become stacked up and have to wait their turn before printing. 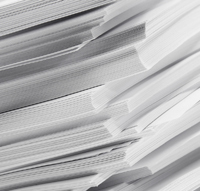 With Printer Load Balancing, documents do not wait for prior jobs to print. Documents are routed to available printers and print right away. OM Plus printer load balancing allows a user to define a group of printers called a “printer class”. Printer load balancing is accomplished by OM Plus Print Spooling distributing the documents to all the devices within the class. Using bi-directional communications OM Plus can detect the status of printers. If the printer is busy OM will direct waiting jobs to the next available print device. OM Plus has other features that are complementary to printer load balancing environments that make the system even more efficient. These features such as document bursting, bundling/kitting, insertion of header/footer pages, support for proprietary label printers, tray management, automated fail-over and page level control. Additionally, OM Plus can count pages and is able to automatically re-route jobs based on page count. In this manner, OM Plus will automatically re-route jobs from low speed to higher speed devices in real time. This improves throughput by utilizing a higher volume (and usually lower cost) printer. These features improve asset utilization and increases document output speeds. Plus Technologies printer load balancing solutions are great for distribution, warehouse, logistics, and other similar environments. We needed to increase our system throughput. We use OM Plus, printing speed is increased and now we do not miss deadlines..